Net2van is delighted to share the slides and video from our April 3 meetup. The workshop featured guest presenters from Legacy Advantage, a local team of accountants and bookkeepers with nonprofit expertise. Nonprofits have it tough. Not only are you working with a limited budget, you are also required meet a high level of compliance. Concerns and confusion around compliance can eat up precious resources and distract you from achieving your mission. If your nonprofit doesn’t have its books in order, then ensuring you are compliant with tax regulations can be a real drain on resources. Accounting software can help, but only if you know how to use it effectively. 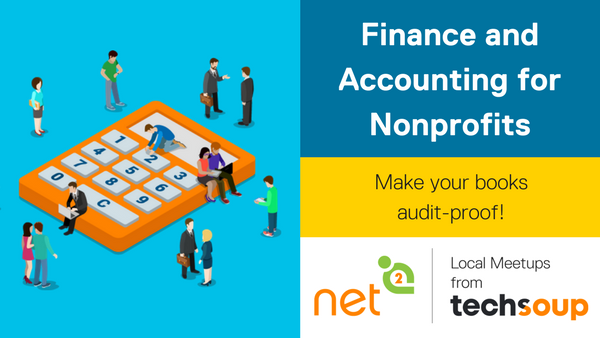 In this workshop, Bob Wang and Jean Elwell of Legacy Advantage share some guidance on how to run an audit-proof nonprofit. In the presentation they focus specifically on QuickBooks (desktop version available through TechSoup Canada’s product catalogue), but many of their insights and best practices are applicable to any accounting system. This entry was posted in Event report and tagged Accounting, Finances, Quickbooks on April 4, 2018 by admin.